Join me NOW for an online release party, chat and contest at Bitten By Books. The event starts at 12:00 pm Central and runs all day and into the evening. The contest portion of the event runs until 11:59 pm Central on 5/13. 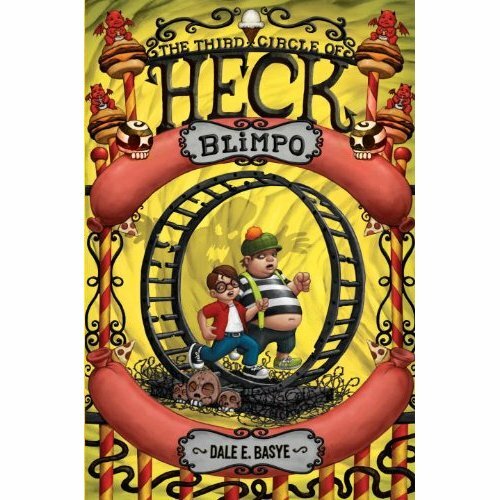 I will be talking about my new book release Blimpo: The Third Circle of Heck. Book three in the Circles of Heck series. Posted in Fun Questions from the Author!, Fun with Heck, Interviews, Interviews with the Author!, Oh Heck! Words from the Author. May 11th. Available wherever fine books, and even mine, are sold. Posted in Oh Heck! Words from the Author.